Nic Kain - New Ways Unfold. Background - Enigmatic Australian artist Nic Kain announces the release of his first international single ‘New Ways Unfold’, due to be released April 28th. New Ways Unfold from Nic Kain is an upbeat indie-grunge, anti-folk anthem with arty electro inlays and catchy phrasing. The track is a unique blend of styles with subtle nuances of feel while the lyrics are a poetic invocation and offering of Nic’s unique artistic expression. Nic puts out a call for everyone to connect to the earth, get creative, open up and be advocates of peace in these tumultuous times of change and upheaval. Background - Escape From Yesterday are a four piece pop-punk band from Murray Bridge, South Australia. 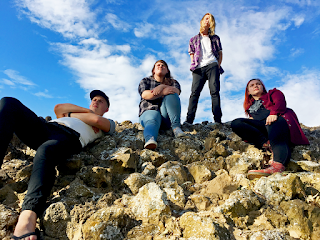 With tunes much to the style of bands such as Blink-182, Paramore and Fall Out Boy; Escape From Yesterday have taken the Adelaide music scene by storm in less than a year of forming. They are now ready to release their brand new single, Same Old Scene. The track is about breaking out of your hometown and embarking on your own adventure. Inspired by the band members personal struggles, hopes and dreams, Same Old Scene displays the bands edgy yet approachable style. The combination of punk-rock and funk influences gives the band’s music a very “Funky Punky" vibe. Same Old Scene addresses some very relatable issues that young people face, and the band hopes that the themes in this song will inspire others to take a leap of faith and pursue their dreams. Background - Cosmic vintage metal and melodic neo-psychedelia meld seamlessly in Megafauna’s fourth LP 'Welcome Home. 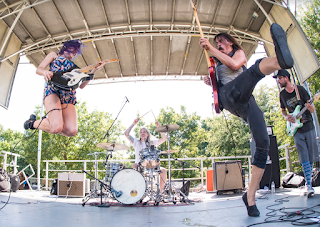 Consequence of Sound described the album, released in May as "Megafauna's most ambitious and imaginative record to date, like St. Vincent for people who love the Melvins." The Austin-based band led by guitar goddess and singer Dani Neff dives deep into the sounds of soul exploration leveraged on the powerful rhythm section of drummer Zack Humphrey and alternating bassists Will Krause and Bryan Wright. With 'Welcome Home', Megafauna eschew the progressive rock stylings of their earlier work and reach back toward the proto-metal haze of Black Sabbath and Sir Lord Baltimore while ushering it skyward with sharp melodies and the space-rock production work of Curtis Roush and The Bright Light Social Hour. Exhausted Pipes - Whisky, Weed, Women and Cocaine. Background - For most people, the idea of “Whisky, Weed, Women and Cocaine,” sounds like a little bit of a lethal combination, but when it comes in the form of an incredibly catchy song by indie-rock trio Exhausted Pipes, we’re welcoming the combo with open arms. Featuring an addicting guitar melody, it’s no surprise the track is named the way it is. Besides just its catchy nature, the song features stunning vocal work and the resulting piece showcases just how special the trio are in their ability to capture a story so eloquently within the framework of a three-minute song. 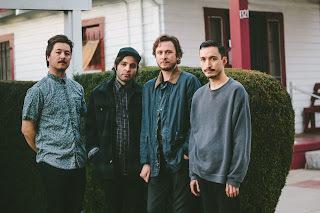 They’ve been capturing the hearts of San Francisco’s local indie scene for a while now, and it’s no surprise- the catchy rhythm and utter brilliant storytelling make them a serious tour de force in the underground music scene. 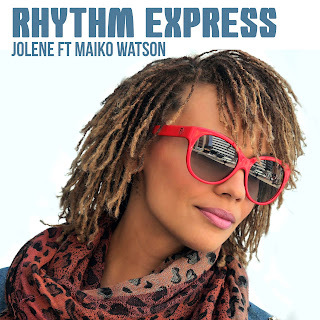 The Rhythm Express - Jolene ft Maiko Watson. Background - A few months back I was turned on to a haunting YouTube clip of Dolly Parton singing her most recorded song, “Jolene”. The original 1973 track had been slowed from single format to long playing 33 1/3 speed. That listening experience was both eerie and a revelation. No doubt, Dolly Parton possesses a grand set of pipes. Slowed down it becomes more evident, in that every inflection, bend in a vowel, a word is extraordinary and rocked with emotion. So Many Wizards - Before She Runs. Background - So Many Wizards is the dreamy, jangly dream-punk project led by Nima Kazerouni. 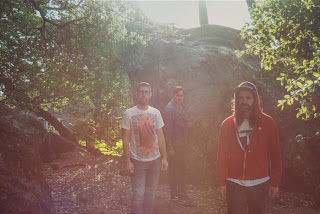 The band have shared "Before She Runs", the third track off their upcoming album. 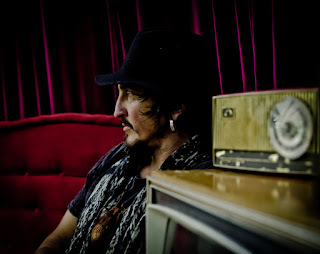 'Heavy Vision' is due April 14 on Lolipop Records. 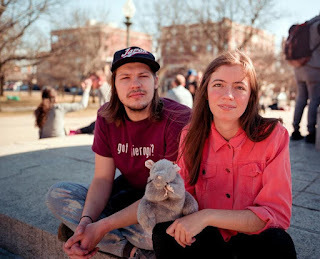 Background - Chicago's Ratboys, led by singer/guitarist Julia Steiner and guitarist Dave Sagan, will release its sophomore album entitled GN on June 30th (Topshelf Records). Drawing influence from the down-to-earth sincerity of late-90s Sheryl Crow and the confessional confidence of Kim Deal and Jenny Lewis, the songs on GN (aka ‘goodnight’) “largely detail experiences of saying goodbye, finding your way home, and then figuring out what the hell to do once you’re back,” says Steiner. The Fader, who premiered the album's first single, "Control" says "the song is a perfect example of the special, personal nature of their music.​"